Don't worry - the building you're in isn't on fire. The alarms and sirens you can hear all come courtesy of SampleRadar. 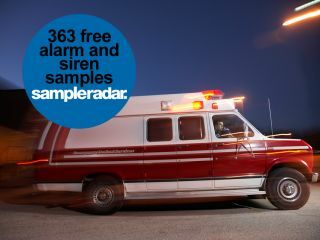 Based on the sound of emergency services vehicles, air raid sirens, fog horns, alarm clocks and more, these could be just the attention-grabbing samples you're looking for. The alarm and siren samples are divided into seven folders, each of which is labelled according to the tempo of the samples contained within it. The alarm and siren samples are supplied in a zip file, so you'll need to extract them before you can see them. Enjoy!